Tom Sawyer, Becky Thatcher, and Huck Finn stow away with Mark Twain on an incredible journey to meet with Halley’s Comet – a journey that takes them through a variety of Twain’s stories and characters, including “The Diary of Adam and Eve”, “Huckleberry Finn”, “The Mysterious Stranger”, “The Famous Jumping Frog of Caliverous County” and “Captain Stormfield’s Visit to Heaven”. 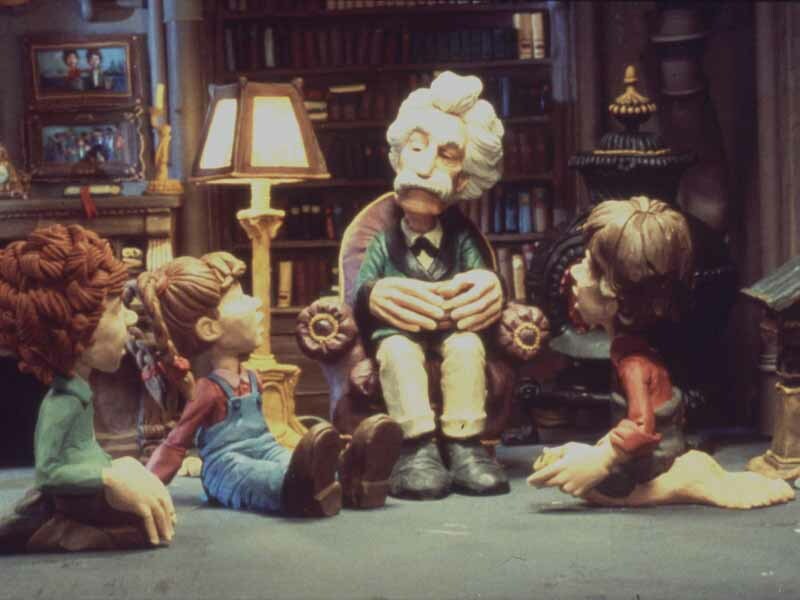 The Adventures of Mark Twain is a feature-length animated gem by the father of Claymation himself, Academy Award® winner Will Vinton. 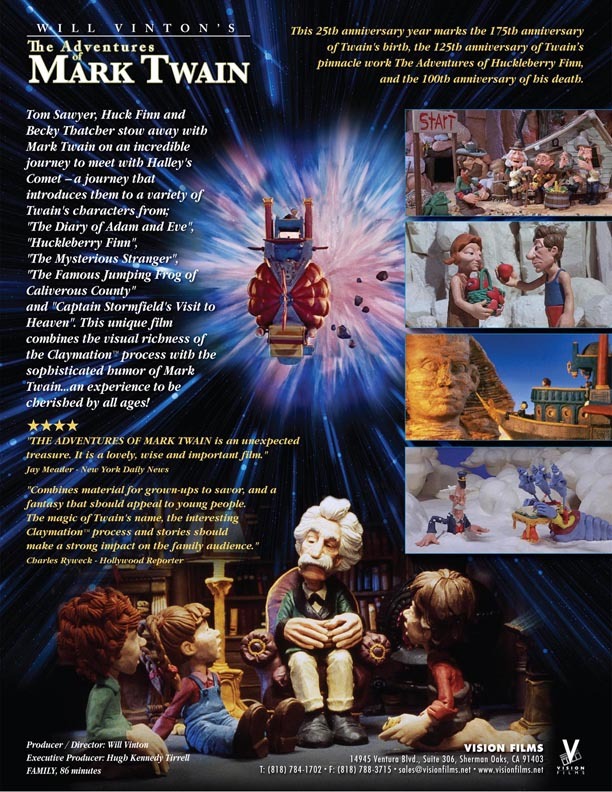 Combining elements from Twains various writings – including The Mysterious Stranger, The Diary of Adam and Eve and Captain Stormfield’s Visit to Heaven – with lavish clay animation, the picture tells the story of how fictional rascals Tom Sawyer, Huck Finn and Becky Thatcher met their eccentric maker and stowed away on his flying airship, destined for a rendezvous with Halley’s Comet. It’s a uniquely ambitious work which managed to completely fall off the public’s radar following its release in 1985. 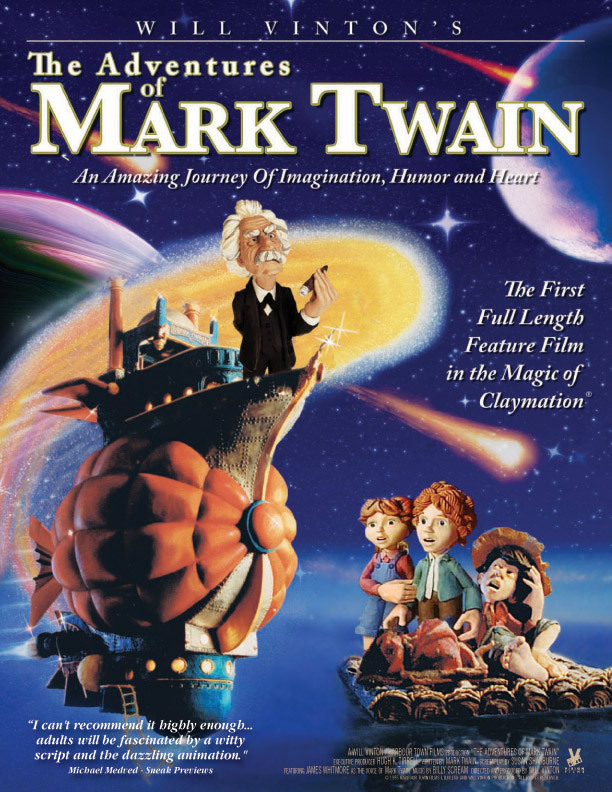 Now available as a Collector’s Edition Blu-Ray packed with special features and crew interviews, Twain is getting a second chance to find its audience, to the relief of its director. Reflecting on his one-of-a-kind creation, Vinton recently opened up about working in the “Kiddie Ghetto,” his take on Pixar’s aesthetics, the possibilities of a Claymation comeback and the truth behind whether or not that aforementioned clip was actually considered too disturbing for broadcasting. Something of a lost gem, the wonderfully clever movie was acclaimed by critics but baffled most audiences when it hit movie theaters in 1985. 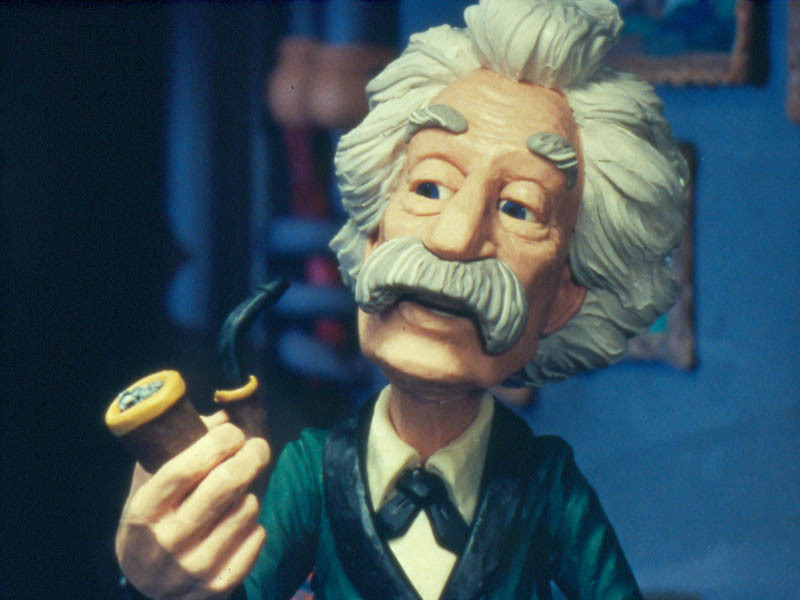 Timing is everything in show business, and The Adventures of Mark Twain, as this bewitching DVD / blu-ray release reminds us, was both slightly and light-years ahead of its time. The year after its release, Vinton hit with his California Raisins commercials, which became an international Claymation phenomenon.